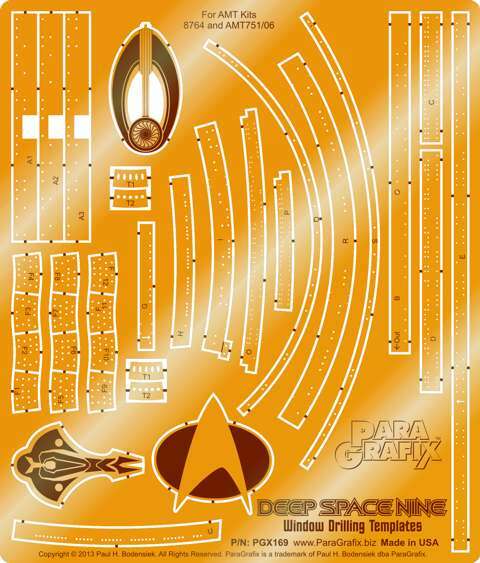 Lighting your DS9 kit? These brass templates will guide you as you drill out the windows. Wonderful for fiber optics or just removing paint on the windows of your clear kit. You'll need .02 and .025 and .04 drill bits.